“Muscles do not only run from origin of one bone to insertion on another. All muscles function in chains, or slings, connecting to each other to form more powerful movers. In fact, some muscles attach more to the next muscle in the chain than they do to the bone that they cross! Force Closure: External forces exerted by muscle systems, through their attachment into connective tissue (ligaments and fascia), to compress and stabilize the sacroiliac joints and hence the pelvic girdle. Adequate force closure is vital to allow for movement of the sacrum during activities such as, walking, stair use and bending. A good example of the lumbar fascia distributing load is found in weight lifters. Stress involved during weight-lifting has produced values of 1000kg and above (Matthiasch 1956, Morris 1973). Such a force is more than the disk could bear, it would defiantly prolapse, which is not good. Measuring intradiskal pressure, Nachemson (1959) found that the pressure during weight-lifting from a sitting position was 275% of that when standing upright. 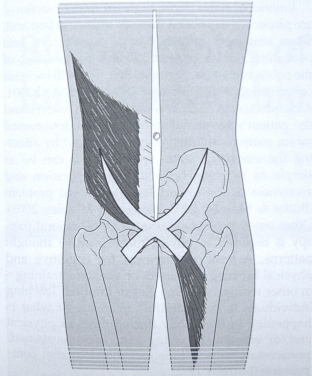 The reason, according to Gracovetsky (1988), lies in the role of the lumbodorsal fascia, into which the erector spinae, the glutei, and the ischiocrural muscles fan out. 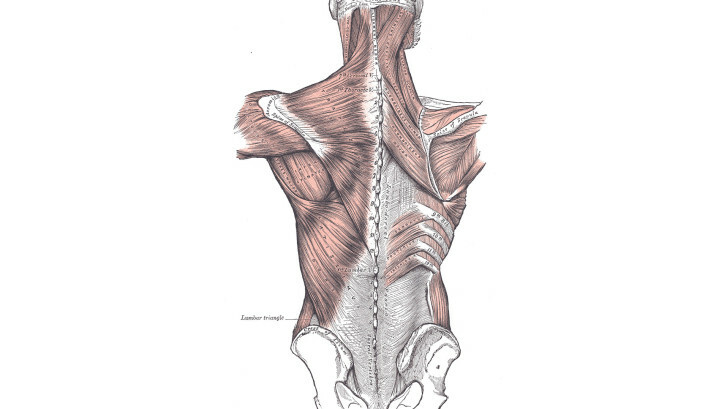 The tension from the ischiocrural muscles enables the spinal column to ‘hook in’ to this fascia, as it were, so that the lever effect is eliminated. This mechanism is further supported by the abdominal muscles, which also fan out into this fascia and in addition draw the thorax toward the pelvis and maintain intraabdominal pressure. The effect is that the correct movement pattern assists this ‘unreeling’ mechanism and avoids the lever effect.